Accept no substitutes! Only the Ibanez MB300C Molded Bass Case are designed specifically to fit and protect your SR and SRH Model Electric Basses. 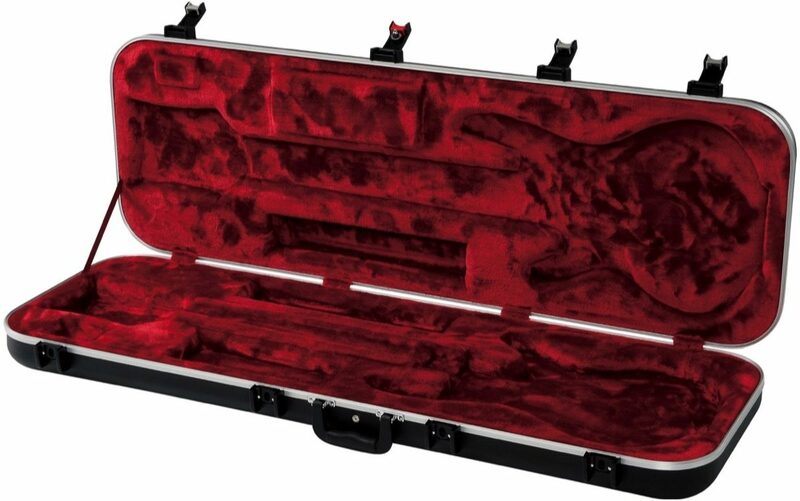 The new MB300C case features heavy duty latches, an ultra durable extrerior and plush red velvet intererior with side pockets for your case candy such as straps and tuners. Note: Will not fit the Ibanez SRSC or SRC Basses. "Very high quality touring case"
Overall: I'll be going on tour next year, and needed a high quality case for the road. This one fits the bill, and my 6 string bass. It's lightweight, but heavy duty. The way the molding is shaped makes it even sturdier, and the latches are top notch, and easy to use.